Millennials are the largest American generation— replacing the Baby Boomers. Generally measured as those born between 1982 and 2002, Millennials now make up an increasingly important portion of our workforce, electorate and consumer base (think about it, 1997 was 20 years ago). And only four percent of this generation hold a Christian worldview. Parents, you can’t give what you don’t have. We can complain about the perceived deficiencies of the rising generation, but we might want to first look at who raised them. Because while the percentage of Americans holding a Christian worldview is falling fast, it did not have far to fall. Sixteen percent— the portion of Boomer/Builders with a Christian worldview according to this measurement—gives little solace. It does help give an explanation. In many cases, those shaping the millennial generation have been “poor stewards of the faith,” according to Rod Dreher, author of The Benedict Option: A Strategy for Christians in a Post-Christian Nation. We have very been poor stewards of the faith, it must be said. And we’ve been this way for a few generations. I’ve noticed, Carmen, when I go around to talk at Christian colleges, both Evangelical and Catholic. Every place I go, the professors tell me the same thing. These kids are coming to us out of Christian homes, out of Christian schools, out of Christian churches knowing next to nothing about the faith— no doctrine and they’ve had no discipleship. I was recently speaking at an Evangelical college about the importance of practices— of spiritual disciplines— for the sake of real discipleship. And a young girl, an undergraduate, stood up and asked me, ‘I don’t understand all of this about practices. What is wrong with loving Jesus with all our hearts like I was raised.’ I said there is nothing wrong with that. We have to love the Lord with all our heart, soul and mind. But if that love doesn’t take some hard form, it is going to be subject to be blown all over the place by the winds of the popular culture. Sure enough a professor told me after that talk, he said, that girl’s experience of Christianity and vision of Christianity is typical for our kids here at our school. They confuse holiness with niceness. When they are told their faith is not nice, they collapse because they have not been given any strong foundation to stand on. If belief is actually evidenced by behavior, then the fact that Boomers have not taught and Millennials have not caught “the faith once delivered,” bears witness to the reality that many Americans say they have have a Biblical worldview, but the facts tell a different story. Do you have a biblically orthodox worldview? How do you know? What if that testimony were tested against the evidence of your life? Here are some introductory thoughts on what a worldview is and how to test it. ACFI also provides a way to test your worldview with this online questionnaire. This means parents have a critical role to play in helping children form a worldview that will influence the rest of their lives. Danielle Hitchen launched a series of books called Bible Basics: A Baby Believer Counting Primer to introduce young children to the core tenets of the Christian faith. Sheila Walsh wrote The Bible Is My Best Friend–Family Devotional: 52 Devotions for Families to equip families to study the Bible together. She joined us to discuss why it is so important for parents to model a love for the Bible to their children, and ways to do that. 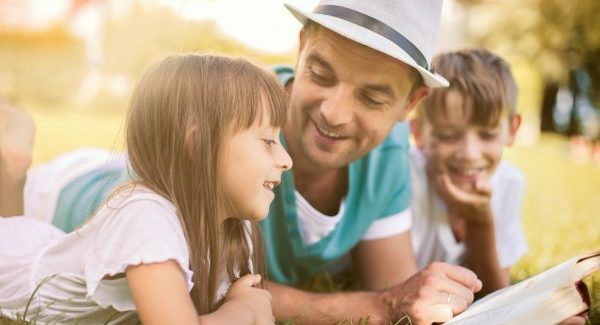 This blog post, Teaching Theology to Children, by Melissa Kruger at The Gospel Coalition shares more catechism resources and reasons why we teach theology to our children. Dr. Joshua Straub shares parenting and family tips on his website http://www.joshuastraub.com/. He particularly helps us navigate parenting kids who grew up native to the Internet and social media. For one, their identities get established and wrapped up in it in way older generations may not automatically understand. We talked with him about how to parent our children with wisdom and grace, and how to lead by example in this complex digital age. Part of guiding our kids’ worldview formation means setting boundaries about what types of information we allow on their phones and other digital devices. Given the ubiquity of technology, that task can feel overwhelming. Matt McKee is an expert in helping parents keep our kids safe online. He is the author of Parent Chat: The Technology Talk for Every Family. Ben Stuart spent over a decade living and serving college students as the Director of Breakaway Ministries on the campus of Texas A&M. He shares how churches can better prepare their students for college. One key lesson he learned: we cannot “out-entertain” the culture, but we can and must be full of grace and truth in reaching young people. Kara Powell is director of Fuller Youth Institute and is the author of Growing Young, which looked at 250 churches, which are successfully growing among young demographics. She found in order to attract young people to church, you can leave your skinny jeans at home. It’s not about being cool– but warm. Young people are looking for deep, family-like relationships. Axis resources parents to “disciple and transfer a legacy” of faith to their children as they face life’s questions and challenges. They provide a weekly Culture Translator email to alert parents of cultural trends and equip them to start biblically-based conversations with their kids on these topics. The bottom line? Relationships matter. There is no computer program or church event that can replace an on-going, life-together discipling relationship. In more ways than you can imagine, you are actually the curriculum for your children’s Christian education. You cannot outsource the joyful responsibility of nurturing and literally bringing up the next generation of Christians. You are the textbook, the curriculum and the app the next generation is reading today. What are they learning about the reality of the cosmos, God, hope, life and everything else? One Response to "Parents, we are failing to instill a Christian worldview in the next generation. Here’s what we can do"
You don’t mention Dr. Christian Overman or Dr. Elizabeth Youmans. They provide excellent resources and dedicate their lives to providing Biblical Christian worldview for parents and children.